I love the blue hour. School and work and soccer practice are done, and everyone’s home again. Supper is over, the dishes are soaking, and the homework is packed away. There’s still a quiet hour before bedtime, and the whole world seems perfectly at peace. The kids are playing in the basement, and I slip out to run a few blocks under the oyster shell sky. We don’t have blue jays or blue poisoned dart frogs in my neighborhood, but the red-winged blackbirds and spring peepers are making a glorious racket. By the time I head back to the warmth and light of the house, the blue hour has definitely settled in. 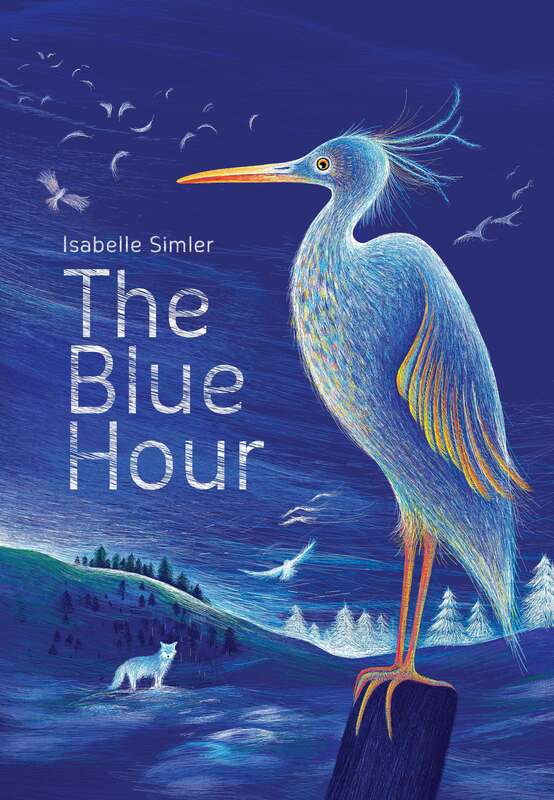 “Anyone want to read a new book tonight?” I ask, picking up Isabelle Simler’s The Blue Hour. I quickly find myself surrounded by snuggly, sleepy-but-not-that-sleepy young people. “What’s the blue hour?” one of them asks, eyeing the cover curiously. I point out the window at the deepening dusk. “That’s the blue hour,” I say. We glide through the pages, taking our time. We pause to admire the blue dragon, the blue racer, and the blue-crowned pigeon. We savor every page of breathtaking scenery along the way. “I love blue,” someone says. “Is blue your favorite color now?” I ask. Enter the Eerdmans books. So, so many of our books, whether they’re bedtime books for babies or coming-of-age novels for young adults, seem to have a single uncannily common quality about them: they just fit. These wise, wonderful books somehow manage to tie into—and by so doing, help me sort out—the knotty complexities of life as I actually experience them.